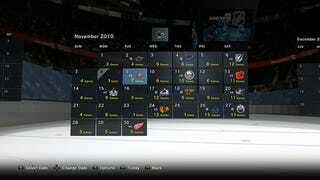 Much like its MLB TV application that launched earlier this year, the PS3 now features the NHL GameCenter application, so hockey nuts with a subscription can follow games live on their console instead of their PC. NHL GameCenter lets viewers see live regular season games (through the away team's broadcast feed), with some playoff games to come. But you'll need a subscription to that service, and they run $169 (US) for a year. An NHL Vault package offering condensed replays of current games, 48 hours after they air, and more than 500 classic games, can be had separately for $4.95 (US) a month. The video streams in high definition and requires the GameCenter App, which is free to PlayStation Plus subscribers and $9.99 to free PSN users. You find it under the "media" tab of the PlayStation Store. For those without a subscription to NHL GameCenter, they may still see features like postgame highlights, schedules, standings and stats, and a scoreboard of the league's games currently playing.